Marijuana: Drug, Medicine or Both? We would like to get straight to the point and say that marijuana is a “medicine”, plain and simple. Yes, there may be some difference in intention between those who use cannabis “medically” and those who use it “recreationally”, but if using cannabinoids might help overcome any deficiencies, it is arguable that all cannabis use is at least useful for “wellness” at the very least. If, after (or even before) reading the arguments outlined below, you feel that getting a medical marijuana card will help you, get in touch with us! However, we’re trying to be at least somewhat fair and balanced here, and give you an idea as to why people may be inclined to say “drug” or “both”. Also, although we’re willing to say “medicine” at the moment, if definitive, peer-reviewed, unbiased evidence comes to light stating without a doubt that marijuana is a “drug” that deserves to be in the same class as opiates, cocaine, benzodiazepines, alcohol and tobacco, we are willing to change our minds. Has no currently accepted medical treatment use in the U.S.
For better or for worse, there are many people the world over who believe marijuana is a drug, regardless of whether or not they want its consumption legalized. Now, many people will see this view as short -sighted and disagree (we agree with this assessment), but there might be good (and bad) reasons why they still believe marijuana to be a drug in the strictest sense. Seeing people using marijuana in conjunction with other drugs (and often claiming that this was the “first” or “gateway” drug). The lifestyle – they see friends of theirs who ended up “doing nothing all day” after using marijuana, or in some cases develop mental health problems. In places where marijuana is illegal, street dealers will treat marijuana no differently from, say, cocaine – it’s a product people will pay for, and when it’s illegal it is profitable for the black market to sell. The psychoactive effects of marijuana, particularly THC – medicine shouldn’t be mind-altering wherever possible. If you tell people that marijuana is comparable to heroin, then those same people try marijuana and learn that “Reefer Madness” is a myth, they might well think that the stories behind other Schedule 1 drugs are not true. Miseducation becomes the norm. The Gateway theory is problematic at best, and extremely damaging at worst. Why? For this one simple reason: marijuana is often treated as a “uniquely” gateway substance mental health professionals the world over as a “gateway drug”. Alcohol and tobacco are sometimes not even listed as “gateway drugs”, even if addicts to other substances started using them first, although attitudes are changing in this regard amongst many researchers. Also, one does not need to go to too many parties in order to observe that alcohol makes one far more suggestible to erratic behaviour and questionable decisions compared to someone who is using marijuana exclusively. Perhaps the best indicators of substance abuse are the following questions: were their parents violent or abusive, maybe even addicts themselves? Did the person start using alcohol and tobacco from a young age? Did they go through some serious health problems and become addicted to prescription medications? Curiously, marijuana is sometimes singled out as a gateway to addiction, and other factors are either sidelined or considered “unimportant”. Every state that has a medical marijuana program (MMP) has shown a reduction in opioid-related overdoses. In some places, it may even reduce alcohol sales as well. Surely if cannabis were a gateway drug, then we ought to see a corresponding increase in opioid addicts, assuming legalization causes an increase in cannabis usage? Those who say they saw their friends using marijuana and “doing nothing” is a good example of confirmation bias. Counting engineers, programmers, scientists, athletes and many other successful people who use marijuana is still an alien concept, or they’re not seen and heard from at all because they don’t talk about their usage. Also, there are people who use marijuana heavily in their youth are liable to stopping several years later, when jobs, families and grown up life start taking precedent (the “I Was at College” effect). Though there may be some problems with cannabis usage for those with mental health issues, but singling cannabis out as the trigger in every and all instances of psychosis, depression or any other mental health issue is not seeing the forest for the trees. Medical marijuana is not necessarily the answer for everybody, but this is no different from any other medicine out on the market today. Putting anything on the black market that really ought not to be is generally a pretty bad idea. The lessons of alcohol prohibition still haven’t been learnt. Many medications are mind-altering. Antipsychotics, painkillers, antidepressants, mood stabilizers, anti-obsessives, anti-anxiety medications and stimulants are all commonly prescribed, and in some cases are far stronger substances than marijuana. Yet, people hardly see these prescribed substances as “drugs”, even if they are. Even some “hard” substances can have some medical applications. Opiates and opioids have use as painkillers (even if we think their use can be replaced or reduced with marijuana). LSD and psilocybin may well reduce the occurrence of cluster headaches. Amphetamines like Adderall helps those with ADHD focus. Slap a label by a pharmaceutical company on what is effectively methadone or speed, and it becomes “medicine”. Why? This is possibly the most common position amongst those who want marijuana legalized. People in this camp are likely to believe in a distinction between “recreational” and “medical use”. They may also believe that marijuana is “crutch”, like any other substance. One of the most compelling arguments for this position is “intent”. Those using medical marijuana are likely going to be using it for specific conditions, and therefore need to follow appropriate dosing and ingestion methods. Cannabis could also react negatively with other medications, even if it is in and of itself relatively safe. Basically, if you have a condition confirmed by a doctor, and that condition has scientific evidence backing that symptoms can be alleviated by marijuana use (e.g. cancer, MS, epilepsy, depression, anxiety), then you are using marijuana medically. Those who have no underlying conditions and use marijuana as a means of “enjoyment” or “social lubricant” are said to be using marijuana “recreationally”. Such users may not use marijuana very often, only use it socially, or treat it in a similar way to a bottle of wine (i.e. as a way to “relax and unwind”). One can be somewhat sympathetic with this view, particularly when looking at pure THC extracts, which it could be argued are used almost purely for their psychoactive effects. Those who neglect all the other cannabinoids and chase the THC could indeed be using marijuana for recreation. However, this view has its problems as well. Splitting up medical and recreational users is a little arbitrary, and many of those who use marijuana “recreationally” may well be medicating an undiagnosed health problem. 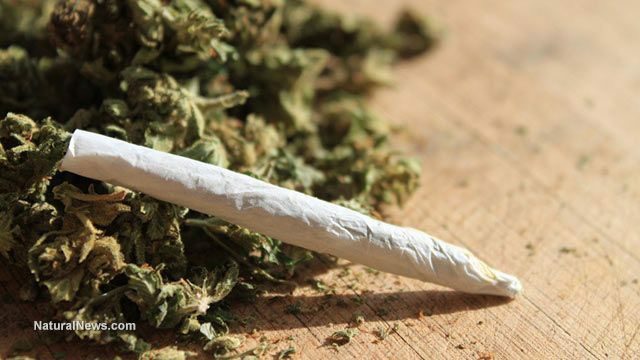 Those who use marijuana to destress and get rid of anxiety could also be using marijuana “medically”, especially if they’re using it to replace alcohol or powerful prescription medications. Should marijuana be used as a “crutch”, perhaps it is a better, less addictive and less harmful crutch than many legal substances. A person may reasonably as, “So what if it’s being used as a crutch, when there are many far more harmful things being used as a crutch?” Remember: at some points in life, people need crutches. If we can provide safer, better crutches, we shouldn’t dismiss them out-of-hand based on outdated modes of thinking. Also, even if a user is consuming marijuana for the THC and the “high”, they are still consuming other cannabinoids and terpenes doing great things for their health. CBD, CBN, CBG, myrcene, linalool … The list of medically beneficial cannabinoids and terpenes found in cannabis are all helping the user, even if they don’t realise it. Even pure THC has medical properties, if the user is staving away withdrawal symptoms from alcohol, barbiturate or opiate dependency, or if they’re in extreme physical pain and need immediate relief. We must also be careful of looking at any one cannabinoid in isolation. This is because they often work together synergistically (the “Entourage Effect”), and taking one cannabinoid away may well reduce the positive effects of another. Some cannabinoids interact in such a way that they also counteract the negative effects of another. However, this is not to say there aren’t benefits to looking at specific cannabinoids and terpenoids in isolation, as these could be of use, too! For this reason, we recommend being wary of consuming any “pure” cannabinoid substance without medical supervision, as: (a) you could well be diminishing the benefits of the plant as a whole by “chasing” after a particular cannabinoid; (b) the research behind cannabinoids is still young, and as such we do not know what the health effects of taking 99% pure THC (or CBD, CBG, CBN etc.) could be; and (c) you may well find that a strain with a unique cannabinoid and terpene profile could do just as good or a better job than a strain bred for the production of one or two particular cannabinoids. Are all marijuana users using it medically? We’d like to say a resounding “YES”. This is because, as explained above, those who use marijuana even for pleasure are also using a huge number of cannabinoids and terpenes beneficial for human health. If a substance is used by even supposedly “healthy” people to beat depression and anxiety, could it not be said that the marijuana is being used medically, with the “high” side-effects being a secondary concern? Just like a glass of red wine a day may be fine and quite healthy to consume for some people (no definitive evidence for this, but there may be some possibility), for others, a small amount of cannabis to help with sleep or recover after a hard day’s exercise may be of immense use. In some ways, cannabis could be “preventative medicine” for some people! The only area where marijuana use could be seen as recreational is with pure THC extracts (getting “more bang for your buck”), but there are potential medical applications in this area, too, as stated above in the “Both” section. Perhaps the best way to explain marijuana as a medicine is by comparing it to food, rather than other psychoactive substances with little-to-no medical application or have a high rate of addiction and abuse. Fruits and vegetables contain sugar, but they also have lots of other helpful vitamins and compounds that help keep you healthy. This is like unprocessed marijuana flowers – potentially quite a bit of THC (depending upon strain), but with lots of other beneficial compounds. Pure THC or any other cannabinoid, meanwhile, is like a candy bar full of processed sugars: best enjoyed sparingly (if at all), and possibly only by those suffering from extreme pain (in a similar way to why a diabetic might need a quick fix of sugar) or addiction, and looking for a safer alternative to painkillers. CBD could be treated similarly in some ways as well, even if it doesn’t have the same sort of effect as THC. This is because a small amount of THC can help CBD do a better job, and for many using just-CBD may not be of use (or even harmful). The other thing that leads us to treat marijuana exclusively as a medicine – until evidence suggests otherwise, of course – is because it has such a broad range of medicinal uses. 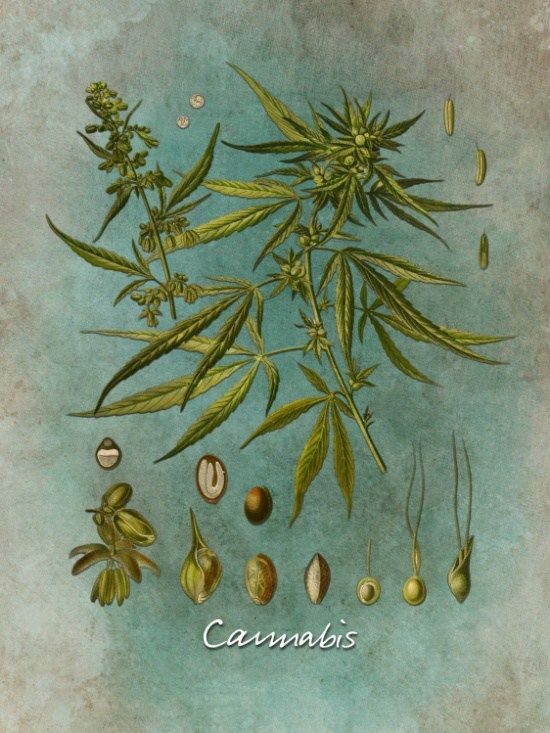 Marijuana is a unique substance with a cannabinoid and terpene profile rarely seen elsewhere in nature. This means that marijuana has a huge number of effects, from the energetic and focused to the sleepy and relaxed. This means the same substance can be used to treat conditions seemingly the complete opposite of one another! For example, cannabis can help those suffering from insomnia get to sleep, but may also help those suffering from ADHD keep focus, in a similar way to stimulants like Adderall. Of course, there are health problems where marijuana use may not be recommended for, mostly as marijuana may interfere with other drugs and substances that could be saving your life. Also, some strains of marijuana may make symptoms worse, whilst other strains make symptoms better. We recommend seeing a doctor and asking if you are concerned about any of this. You may need a specific cannabinoid and terpenoid profile to treat your condition more effectively and ensure there aren’t any negative reactions between the medications you’re using and cannabis. Therefore, it is commendable to check out companies that utilize and refer to medical cannabis experts. In the meantime, however, we say marijuana is a medicine suitable for most people and most conditions, and it is about high time US laws reflect this, and maybe get rid of the distinction between “medical” and “recreational” users while they are at it. (Hey, we can dream, too!) 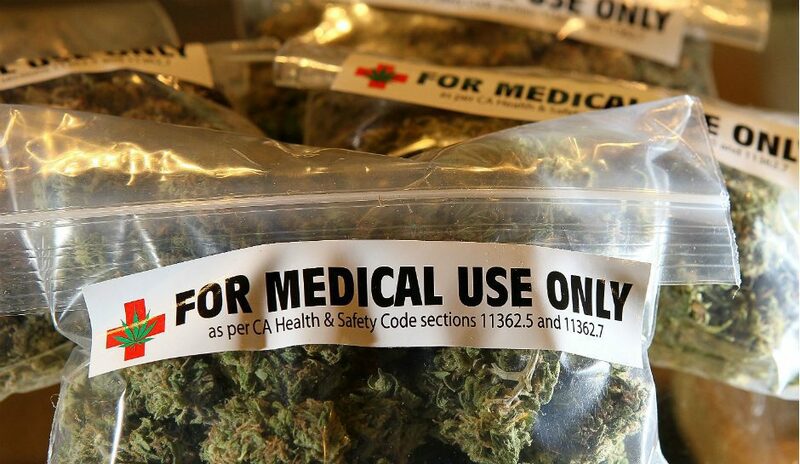 If you are interested in getting a medical marijuana card get in touch!